“For the past eight years, we have been targeting the fresh produce industry,” says Elis Owens with Birko. “Our historical focus has been the red meat and protein industries, but because of our expertise in chemistry and food safety, we have diversified into cleaning and sanitation for fresh produce.” The big difference between produce and meat is that at some point, meat is going to be cooked and heat kills all bacteria. Large amounts of fresh produce, on the other hand, do not get cooked prior to reaching the consumer’s plate. 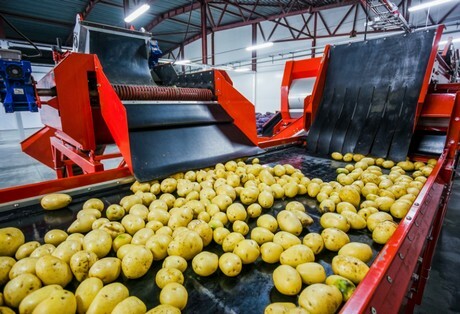 “To prevent cross contamination, the produce industry needs to be extremely diligent,” said Owens. In 2011 there was a Listeria outbreak associated with cantaloupes, processed through a packaging shed in Colorado. The epidemic killed 33 people and resulted in a major cantaloupe recall. The impact on the cantaloupe industry was significant. Although the source was a single packaging shed, consumers’ perception was that all cantaloupe were impacted. Consequently, the outbreak hurt the whole industry. Events like these may result in companies becoming extremely cautious. Nobody wants to be associated with an outbreak. 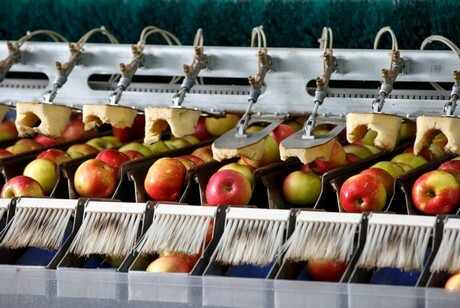 “A Listeria outbreak in 2015, associated with caramel apples, has resulted in some apple packers re-evaluating who they sell to, based on the food safety risk associated with the end product. We see the interest in our products going up after an outbreak,” declared Owens.